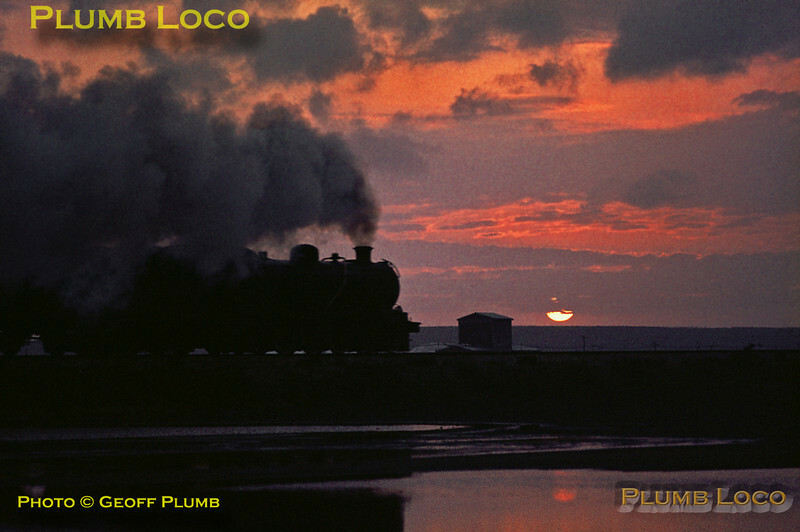 An unidentified 16CR 4-6-2 crosses the salt flats at Swartkops with an evening commuter train from Port Elizabeth to Uitenhage, just as the setting sun reaches the horizon. Wednesday 30th August 1972. Slide No.9533.